I continued practicing painting eyes with Rex, Dark Future Hero. Before I go on I want to point out the difference in detailing between the Bones version of Rex and the pewter version of Rex. I thought Rex looked a bit like Arnold as the Terminator but after seeing the pewter it looks like the original sculpt was going in a different direction. 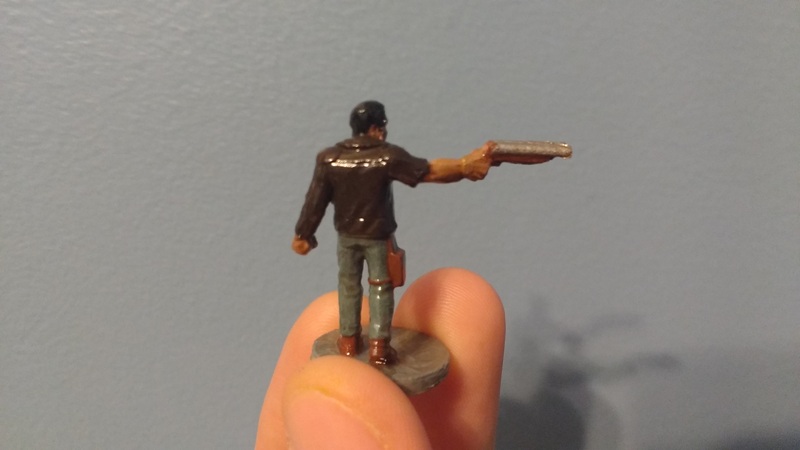 As with the Andre Durant miniature, I practiced the eye painting techniques from Dr. Faust’s How to Paint Miniature Eye video on YouTube. I also continued trying the good Doctor’s flesh shading techniques. I was very pleased with how the eyes turned out on this one which is why I finished painting it. I’ve started the eyes on dozens of miniatures as practice. I was also pleased with how the flesh shading turned out, it’s nice to see that I’ve made some baby steps forward. That’s about all there is to say about this one. I did varnish it using the DIP method which is why it came out so glossy. 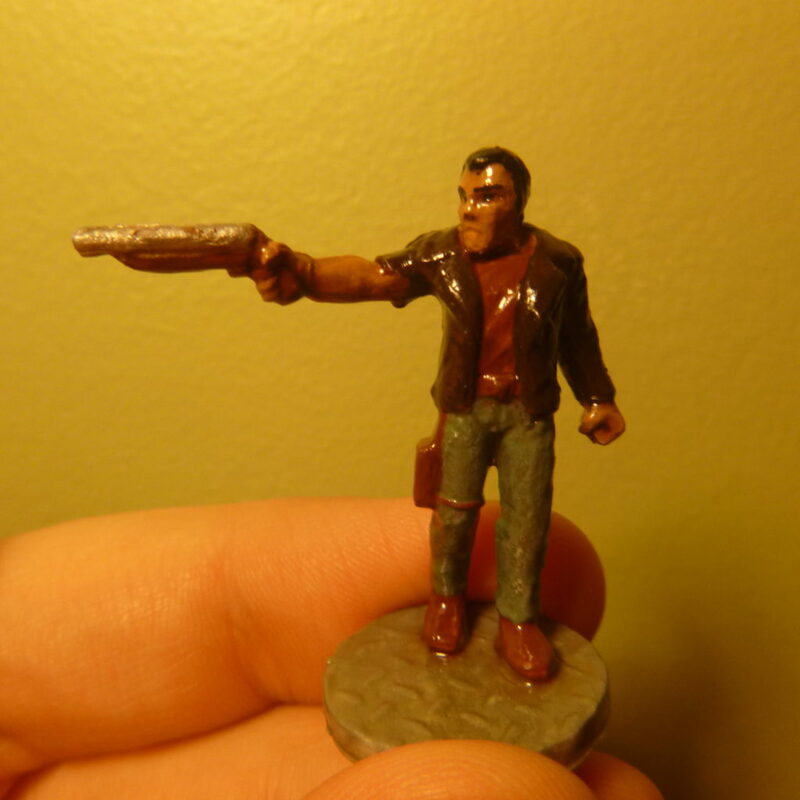 I plan to get a spray on matte varnish eventually and give most of the miniatures a second coat of that. According to what I’ve read doing so will reduce the shininess drastically and, even better, further increase the durability of the miniatures. As a footnote, since I like to cite my sources, Rex like so many of my miniatures is from the original Reaper Bones Kickstarter.